This time I'll review some cute accessoires by bornpretty for you! This is the original productimage. Also available in color red! These little, cute owl earrings really are an eyecatcher! With the glittering on it it looks so special, yet simple. The earrings didn't hurt me while wearing them 24 hours without taking them off. Nothing to worry about! The size is 1.4*2.2cm, material is Alloy, Rhinestone & the weight only 5.5g. It's a must-have for owlfans, or just a nice gift for a important friend! This is the original productimage. Also available in color black & red! 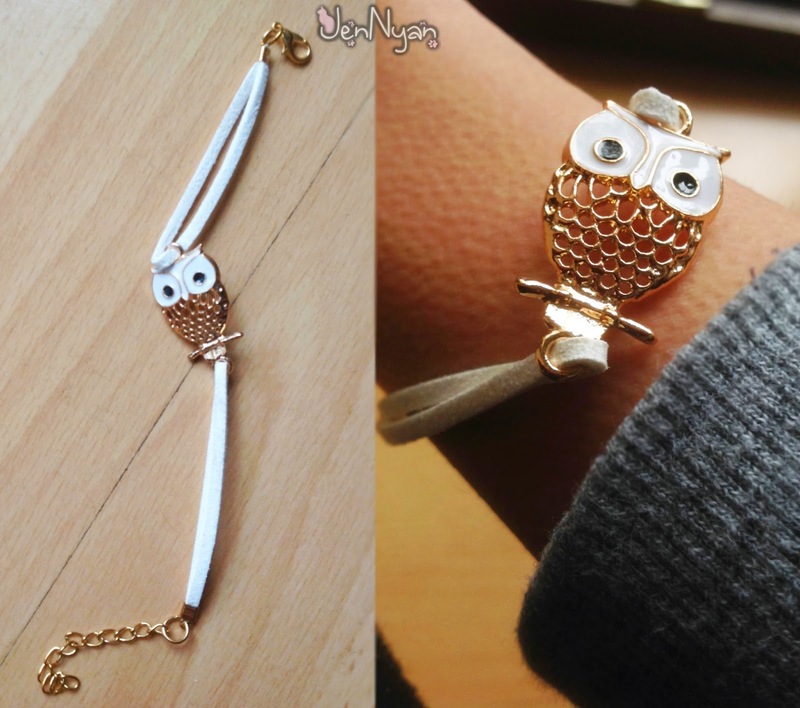 Just another cute accessoire with an owl on it. I chose the white one, because it looks simply cute and fits to every color I'm wearing. It's really comfortable to wear, you have to try it! The material is alloy, size 21*1.8cm & weight 6.2g. This is the original productimage. Also available in color white! Okay, this is my fav necklace so far. 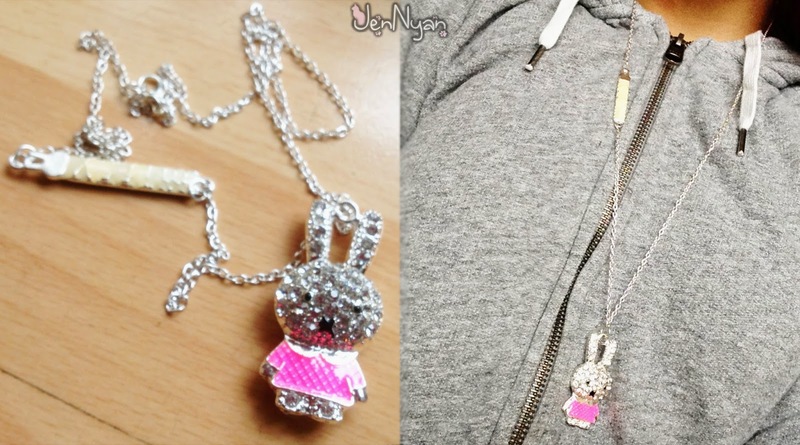 I just love the cute little rabbit on it, it's a real eye-catcher, + the necklace is really long, what makes it more comfortable to wear! This is the original productimage. Colors are randomly chosen! Just like all the other things, eye-catchy-catchy!! Shipping took 4 weeks, which is kinda long, but still okay for the nice price. Everything was well and safe packaged. The contact was very nice and kind, always got fast answers. Even if the shipping took a long time, I'm still very okay with all of them. Every accessoire is worth it's cheap price, so, why not? I really love it that much and I appreciate it! About to buy something cute for you or a friend? Use my 10% discountcode "JenNyanT10"